Sometimes a 100 Kg pig will cross the allee making absolutely no noise which is rather embarrassing if you are admiring the beautiful french workmanship on your hosts bullet pouch . 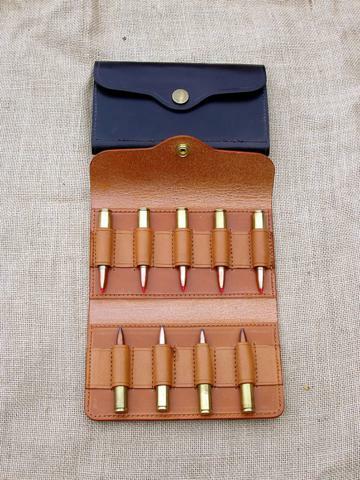 This bullet pouch is often given as a gift – as with all these pouches it is beautifully made by Joe our Scottish/ German hippie leather worker, it folds in 3 and holds 9 bullets again in the calibres 6 to 9mm . 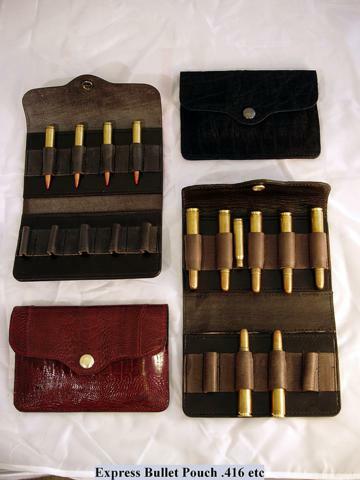 The bullets are arranged with 5 on one side and 4 on the other and when the pouch is folded over the 4 fit into the gaps between the 5 opposite. This arrangement makes the bullet heads visible on the open pouch, so the African hunter can have solids on one side and the softs on the other and it is always apparent which is which. This also applies in this country when you might carry perhaps ballistic tips on one side and regulars on the other. Of course we make safari pouches in express size as well and in all varieties of leather and colour. A very handsome gift to a friend or host. I ordered this Safari bullet pouch last autumn and it has indeed served me very well. 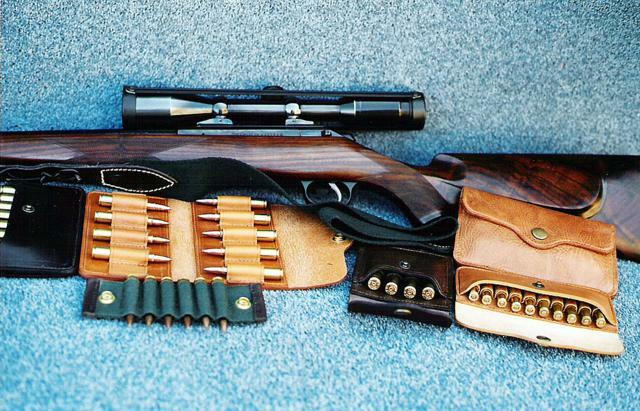 Not that I necessarily need to carry 9 identical cartridges on a hunt but it enables me to carry two or even three different bullet types and thus be prepared for different species of animals as the day develops. 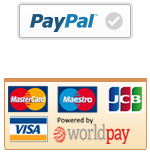 The pouch is very well stitched and the natural colour has a very natural look and soft feel.